D.E. 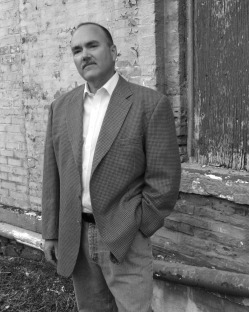 (Dan) Johnson's literary debut, a historical mystery entitled The Detroit Electric Scheme, was published by St. Martin 's Minotaur in September 2010. The sequel, Motor City Shakedown, was published by Minotaur in September 2011. These were followed by Detroit Breakdown and Detroit Shuffle. Dan is a history buff who has been writing fiction since childhood, but had to hit his midlife crisis to realize he should get serious about it. He and his wife, Shelly, have always encouraged their children to make their dreams a reality - and it finally occurred to him to do the same. After taking classes, reading everything about writing he could find, and writing for hours every day, he hit on the right subject and genre, and wrote a book that Loren Estleman calls "A LES MISERABLES for the American experience." The early Twentieth Century, a time of big ambitions, huge achievements, and crushing poverty, holds a special fascination for him. Dan comes by his interest in automotive history honestly. His grandfather was the Vice President of Checker Motors, beginning work with Checker in 1924 and continuing until 1980. Fortunately, Dan doesn’t come by his interest in murder the same way. After spending his childhood in Kalamazoo, Michigan, Dan graduated from Central Michigan University and owned a business in Grand Rapids, Michigan for many years. He is married, has three daughters, and once again lives near Kalamazoo. He’s currently working on a new series.